Scott Conant, one of the three Food Network judges (the others were Alex Guarnaschelli and Tim Love) was critical of my Béarnaise sauce. Scott felt that the proper method was to use a classic French technique using a double broiler that would take 20-30 minutes. 20 to 30 minutes to make sauce was not possible within the 30 minute entre round. So, I used a propeller blender hack to make it in 30 seconds. 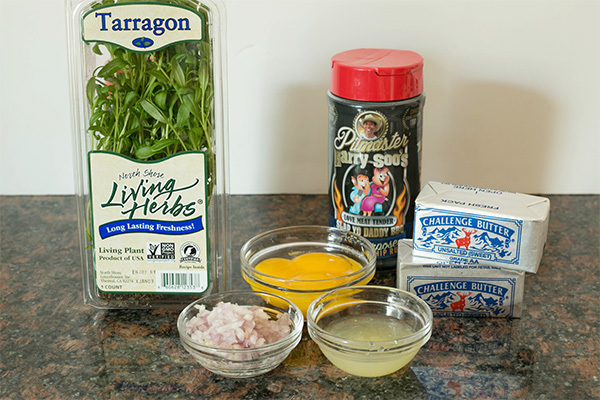 If you study food molecular gastronomy like I do, you know you can make an egg emulsion by simply blending hot 210F melted butter into a mixture egg yolk, shallot, and lemon juice. 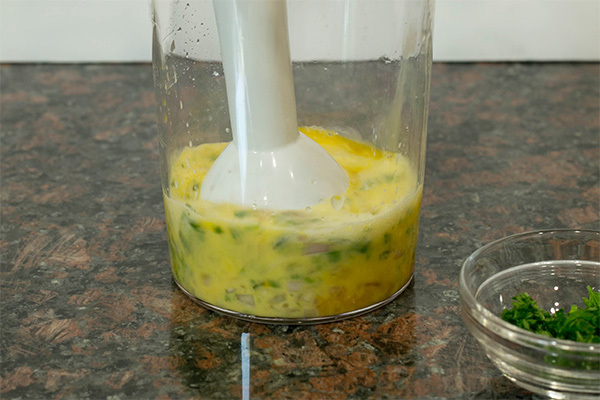 Voila, almost instant Béarnaise sauce when you turn on the propeller blender. I saw the propeller blender on set so I made a ballsy decision to go for it. My motto is go big or go home. Enjoy this recipe and impress your guests when you whip up the sauce in front of them. 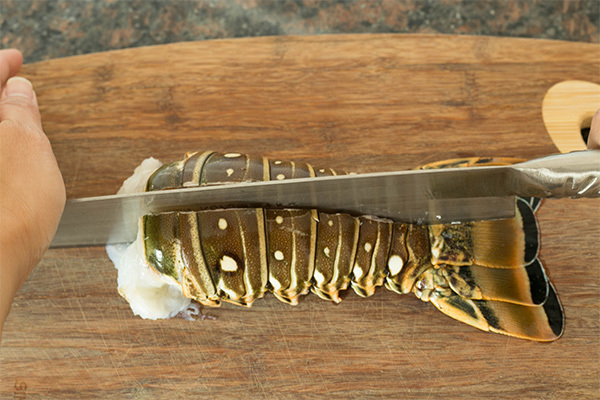 Prepare your live lobster by freezing it for 10 minutes and cutting in half. Remove the tomalley and the greenish backbone digestive tract. 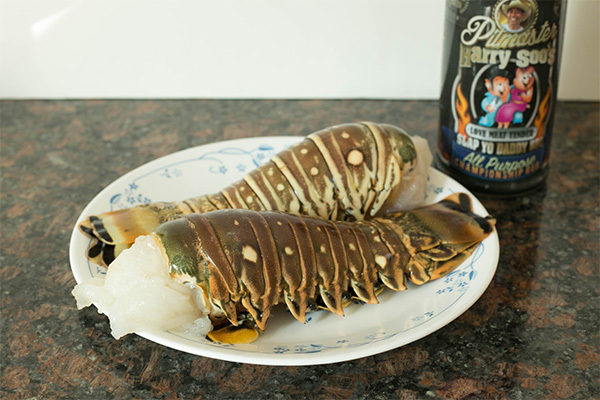 Or defrost your frozen lobster tails. 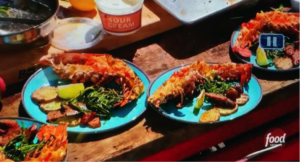 If using whole lobster, remove the claws and legs and save for another day. Alternatively, you can boil and cook the claws and remove the meat. Save the legs for lobster bisque stock. Rough chop the cooked claw meat and set aside. 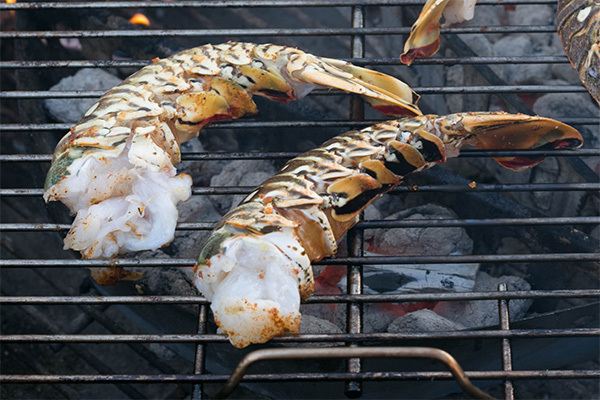 You can add the claw meat later after your lobster is cooked. 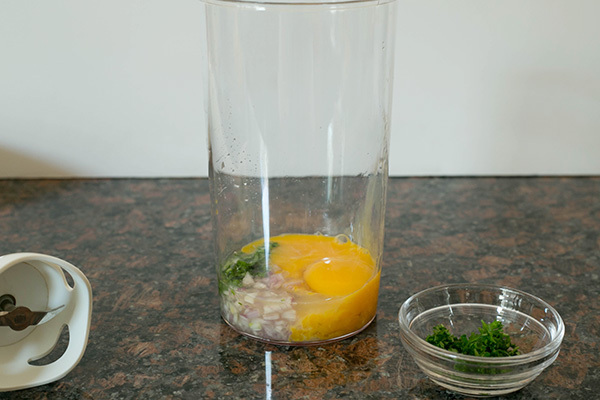 Prepare your sauce by placing your egg yolks, lemon juice, shallot, and tarragon into a 16 oz plastic cup. Get your propeller blender ready. 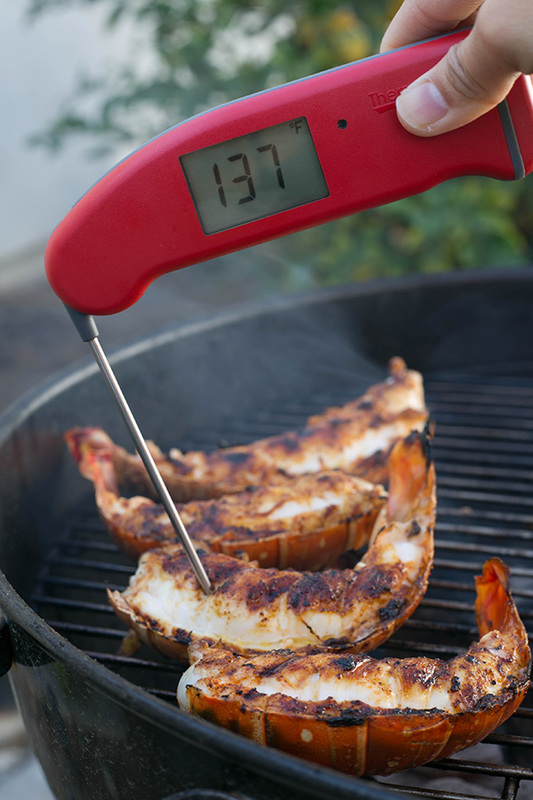 Get your grill ready and hot to 375F. Clean and oil your grill grates. Toss in some of your favorite wood chunks before you start grilling. 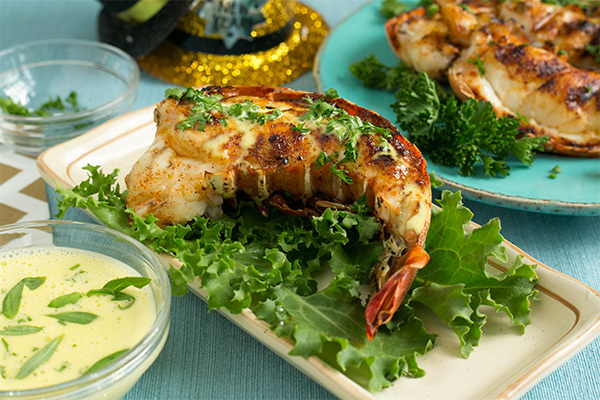 Apply some melted butter onto the meat side of the lobster. Apply some Slap Yo Daddy All Purpose rub to the meat side of the lobster half. Place cut-side down on a clean oiled grill grate in a 375F kettle grill. 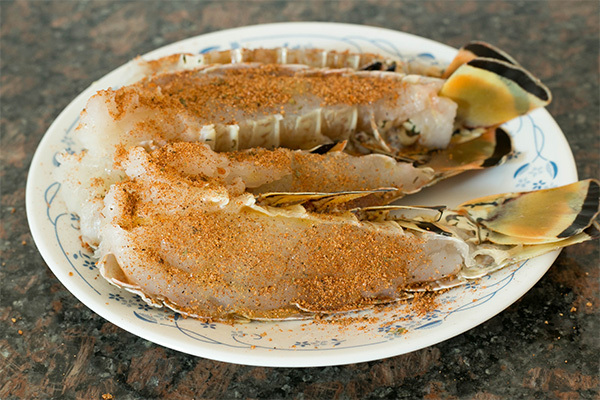 After about 4-5 minutes, flip over and cook shell-side down on the grate for another 4-5 minutes. 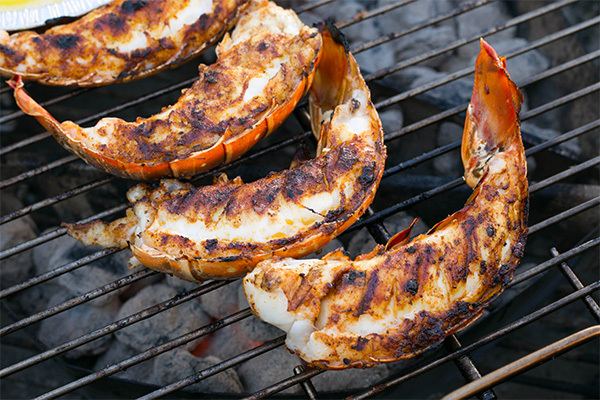 While the lobster is cooking, put 1 stick of butter into a small foil pan and heat in pit until the melted butter is 210F. 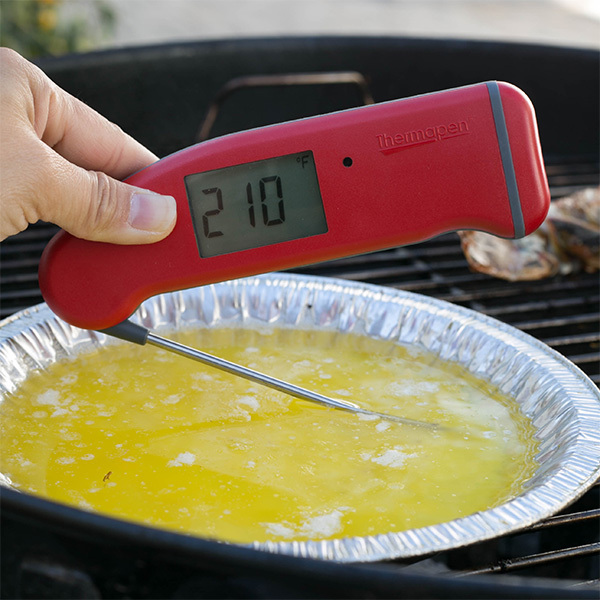 Use an instant read thermometer and be careful to not boil the butter. 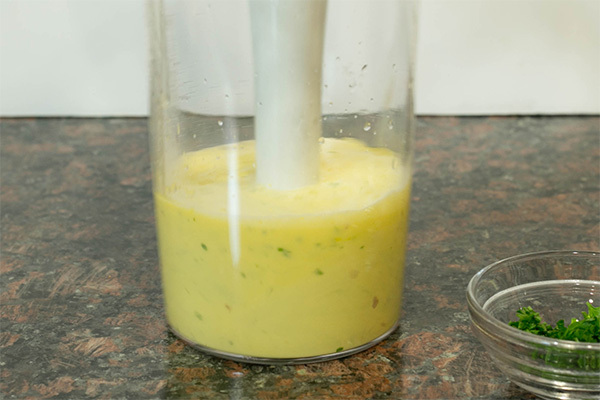 Place your propeller blender in the sauce mixture and begin to pulse slowly while drizzling in the 210F butter slowly over 30 seconds. Taste and season to taste with salt and pepper or BBQ rub. Add more lemon juice and mix is some fresh chopped tarragon if you like. Rest the cooked lobster after cooking for a few minutes. This next step is optional. You can use a butter knife to pry loose the meat. 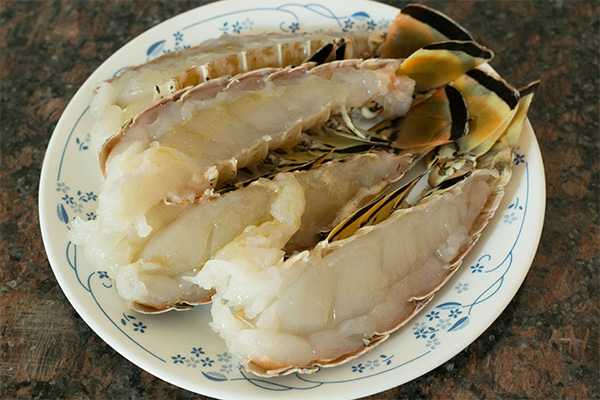 Chop into large chunks and add the cooked claw meat, if desired. 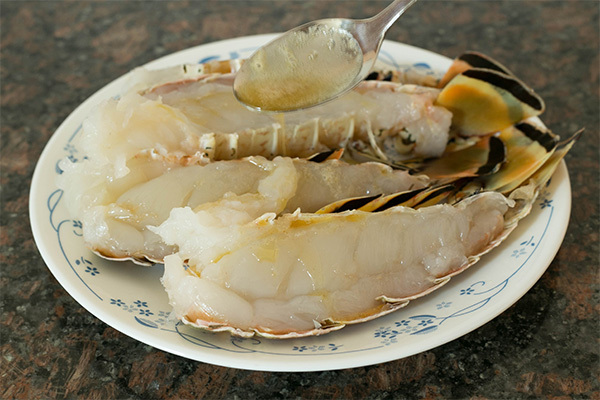 Toss with any leftover melted butter and season to taste. 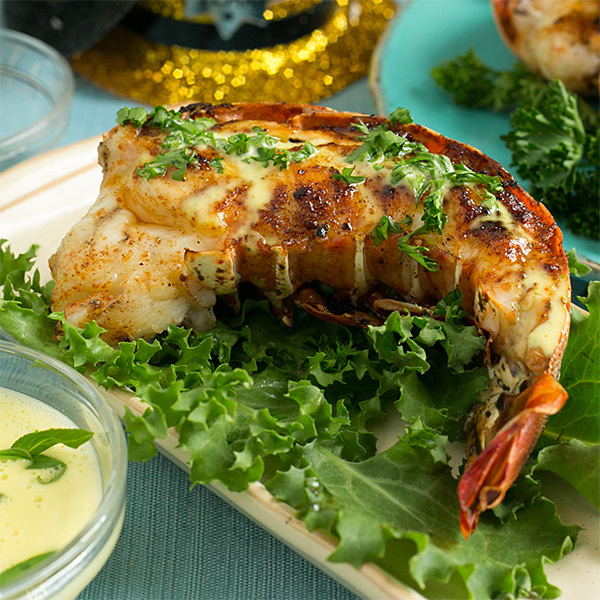 Assemble back into the lobster shell and drizzle the Béarnaise sauce all over the half shell. Garnish with chopped tarragon or Italian parsley.